Where do y'all carry them? I finally got another light, but I never have been able to find a reasonably convenient/comfortable place to carry one. I have a custom kydex mag/light pouch made by one of the guys at USSA. That's where I carry mine. I have a SF 6PX T so I don't have the clip that makes pocket carry easier. Are you a rilfe owner or a Rifleman? Find out at an Appleseed clinic and help restore the culture of the American Rifleman. My son, Joshua Morgan, was born 1/4/14. Welcome to the world, my son. I can't see in the dark. I carry this all the time. I made the holder for it after I wore out the soft material one that came with it. 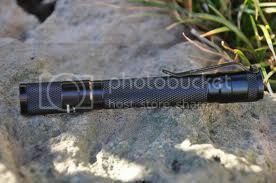 I carry a streamlight stylus pro penlight that is bright enough for most purposes I usually just carry it in my pocket. This is what I'm carrying. Bigger than I intended, but I couldn't pass it up for $20. I seem to have found a comfortable spot at about 8:30, angled back. Basically opposite my gun carry spot. I carry a 4-Sevens Quark Mini AA2 clipped to my left front pants pocket. I like the multiple modes, the pocket clip position, and the fact that there is no clickie on activate by accident in my pocket. An Oklahoma small business providing quality firearms instruction to the Tulsa metro area. I carry a fenix something or the other. Love that light. Anyone carry with a mounted weapon light? I’m looking at the SureFire X400-U for my 1911.